Hey, look at that! 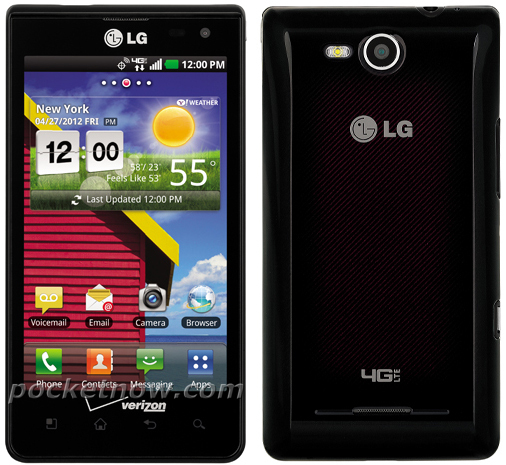 It’s the LG Lucid, a Verizon 4G LTE device that we first reported on back in February as the LG Cayman. From what we know, it is a mid-range dual-core device that probably won’t gain the interest of many tech diehards. It doesn’t match up in specs to the LG Spectrum, so look for this to be an affordable offering, sort of like what we saw with the Samsung Stratosphere. And moving on.